We have 14 games on tap today but we will be focusing on the 10 game main slate starting at 6:35 pm. 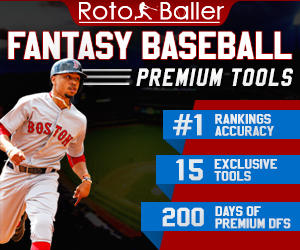 In this article, I will be providing you with my daily fantasy baseball lineup picks for FanDuel on 4/17/2019. 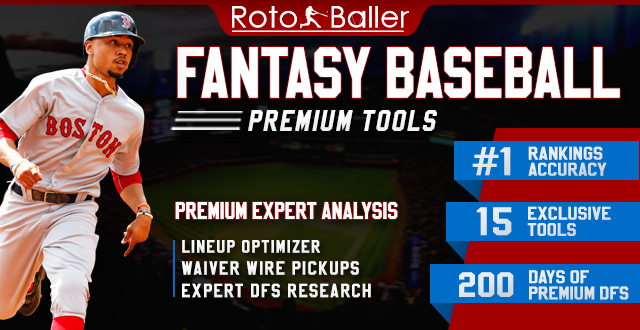 The lineup picks will range from some of the elite players to mid-priced options and value plays. 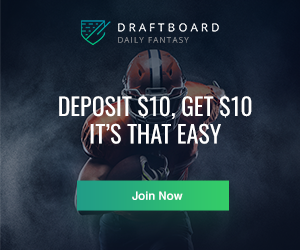 You can also read more DFS lineup picks for DraftKings and other sports too. If you have any questions or comments, feel free to hit me up on Twitter @Roto_Nate. Hamels feels like a very safe play tonight where he can go six or more innings against a below-average lineup in Miami. There are a lot of question marks on this slate so it feels like the way to go is to take a pitcher against the worst offense that isn't facing a bullpen day. His teammate and fellow southpaw, Jose Quintana, had a solid outing against the Marlins last night. It wouldn't surprise me to see Hamels have the same success tonight. Having him go into a pitcher-friendly ballpark in Miami certainly doesn't hurt his outlook either. Hellickson was solid in his last start against a much better offensive team in the Phillies. Putting up six strikeouts over six innings to grab his first win of the season. He will look to take advantage of a Giants team who lack consistent offensive firepower. The Giants have been unable to string together many good games this season and after putting up a seven spot on the Phillies pitching staff last night I can see them cooling off a bit in this game. 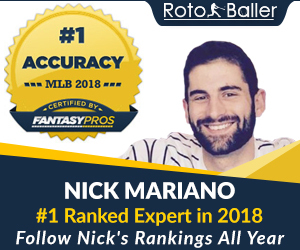 This price is extremely low for a player with a .347 wOBA against right-handed pitchers over the past two seasons. Lance Lynn has struggled against left-handed hitters as well, as they have a .367 wOBA against him. At the hitter-friendly Rangers ballpark in Arlington, with the highest implied run-total on the board, we should see a lot of offensive firepower in this game tonight. Frazier is hitting atop of the Pirates lineup tonight against a Tigers pitcher in Spencer Turnbull who has struggled against left-handed hitters allowing a .401 wOBA over his first three starts. Frazier has also had some success over the past couple seasons against right-handed pitching with a .362 wOBA. This is a solid value option tonight on a slate where we will want to pay up for some of the higher-priced bats. Bregman has raked the ball against right-handed pitching in his career, and on a slate, with not many viable third-base options he should be your best bet. He has a .414 wOBA against right-handed pitchers this season. Frankie Montas' recent form could prove to be a problem but Bregman did have some success against him earlier this season when they faced off. 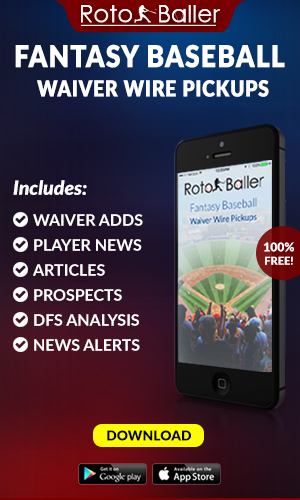 Torres has a .430 wOBA this season and has been crushing the ball over the past week. The biggest stat to jump out to me here is that Eovaldi has had a problem with the long ball allowing six home runs over his first three starts with an 8.40 ERA. You can't go wrong with any players in the top half of the Yankees lineup tonight but Torres seems like the best bet to have a couple of good at-bats against Eovaldi. Davis has a ridiculous .527 wOBA this season against left-handed pitching. Wade Miley's only win has come at the expense of the Athletics but I can't see history being repeated tonight. Miley is due for a regression start and it wouldn't surprise me if it happened tonight against the powerful Oakland lineup. We're going back to the Arlington narrative with the next two picks as we have the Rangers facing a pitcher in Matt Harvey who has struggled so far this season. Choo will be hitting atop a lineup that is projected to score 5.46 runs and he boasts a .456 wOBA against right-handed pitchers this season. If the Rangers get to Harvey early in this game Choo will be the guy who gets the offense going. We have another Ranger here in Joey Gallo who must be licking his chops at the opportunity to face Harvey tonight. Gallo has a .483 wOBA against right-handed pitchers this season and Harvey has allowed four home runs in 14 innings over his first three starts. He will be susceptible to the long-ball tonight in Arlington. Gallo has hit home runs in the first two games against the Angels this series so let's hope he can add to that total tonight.